Online tools for translators are becoming more and more popular. Leading companies on the translation market create wonderful cloud solutions for translators like SmartCAT and MateCAT. SDL also does not want to trail behind. 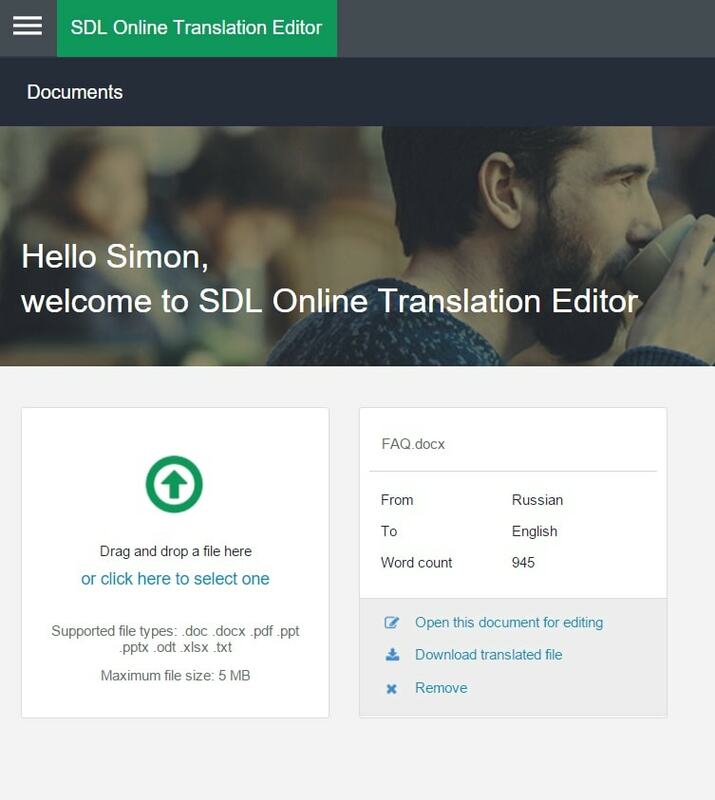 It has recently launched a pilot version of SDL Online Translation Editor – light-weighted easy-to-use tool to translate documents online. Basically, you can speed up your translation rate by up to 30% with CAT tools. 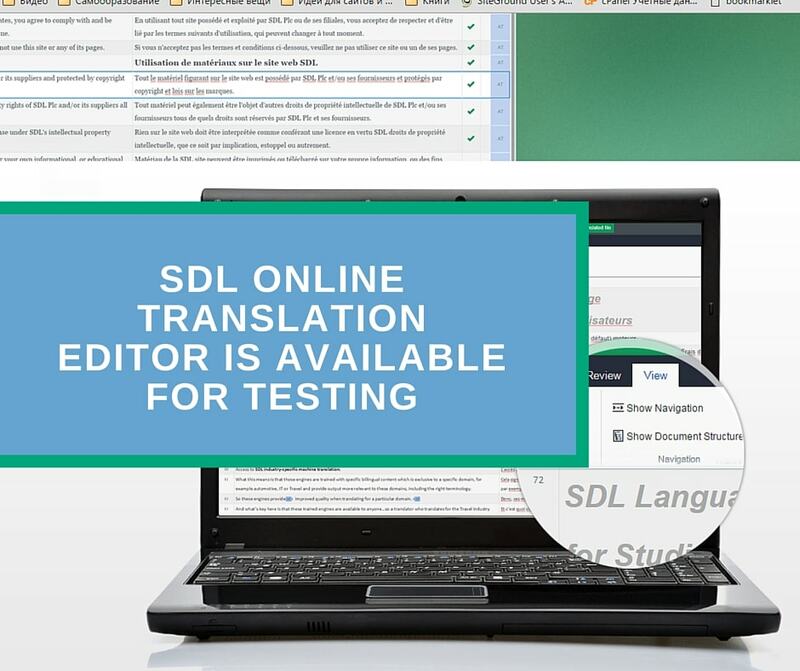 SDL Online Translation Editor, as any similar CAT tool, segments the text and displays the original and translated text side-by-side making it easier and faster to translate and review texts. However, the Editor is not an online version of SDL Trados Studio. It offers a limited set of basic CAT functions that is enough for simple text processing (translation, editing, downloading translated files, etc.). How to join the pilot? To start using SDL Online Translation Editor, you should have a computer with internet connection and a browser (Google Chrome or Mozilla Firefox). Login with the existing SDL ID or register a new account. You will receive a confirmation letter with details. Since this is not an official version there can be some glitches. For instance, I found that changing editor view from vertical to horizontal on a View tab messes up a visual representation of source and target text. You may report about your findings to SDL support from application home screen. 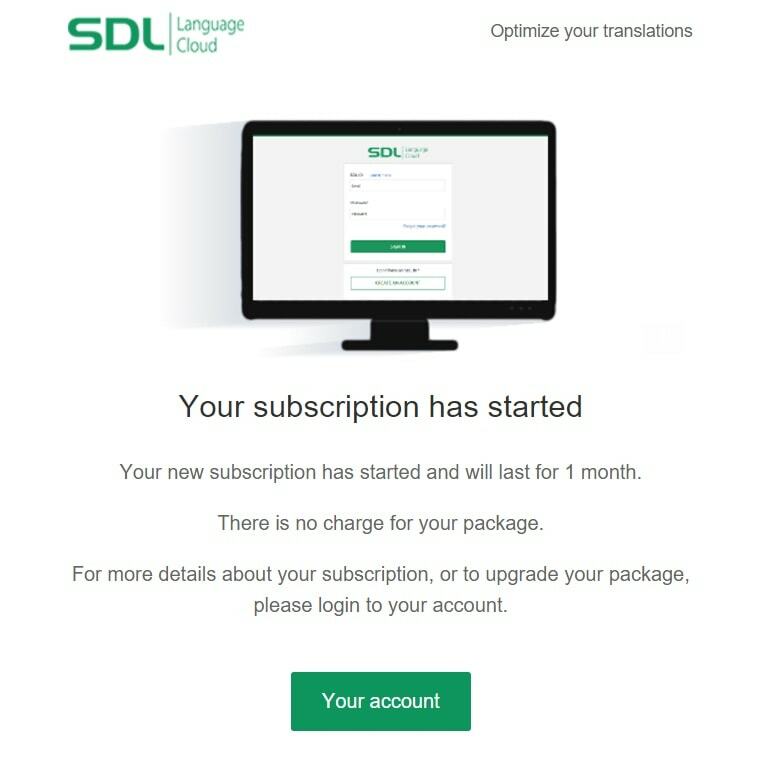 Apparently SDL Online Translation Editor will use a subscription pricing model. There will be several pricing packages on further stages of development. Currently, you may sign up for a month of a free trial period. Detailed information about pricing is not available yet. The Editor supports document translation to and from 47 supported languages. SDL Editor supports the following file types during the pilot period: .doc, .docx, .xlsx, .pdf, .txt, .ppt, .pptx, .odt, .xml, .htm, .html and .its. Currently, SDL Online Translation Editor offers a limited set of function. Many features are not available yet but will be added in future releases. For instance, now you can neither upload your own TMs or term bases nor add glossary items or share projects with other users. The Editor automatically saves your data on secure SDL servers so you will not lose your data. However, it is recommended to download all your documents closer to the end of the pilot period (you will be informed about that). Time will show whether SDL Online Translation Editor can gain the same popularity as SDL desktop solutions or not. Visit FAQ page to learn more about Editor features or register for a free trial program to test this new tool today.